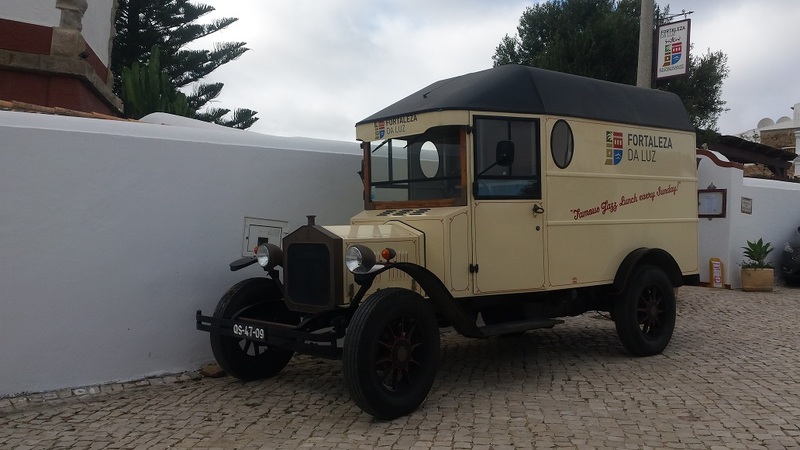 FORTALEZA VAN, a Good vehicle for marketing. The Fortaleza is an historic site, from Roman times, rebuilt in 1670, after an earthquake. Richard the Lionheart is reputed to have stopped off there on his way to the crusades. Been back in Algarve a few days now, a relief from the storms of the UK. One o’clock today and a tourist boat was static only a few yards off shore, with a smaller boat hovering alongside. Not wishing to put down my glass of chilled white wine, but curious nevertheless, I picked up my binoculars for a look see. Around the front of the boats, quite clearly in sight was a playful pod of Dolphins, a magnificent spectacle. I sat and watched for a quarter of an hour before they moved on. Alas the wine had gone warm. LEAVING ON A JET PLANE. It’s 7th November 2018. The sky is clear and the Atlantic Ocean is Azure blue. It is hot and I’m, looking out over the beautiful Bay of Light (Praia da Luz), Lagos in the Algarve, Portugal. Next job is to print boarding passes because, sadly, I’m leaving on a jet plane tomorrow. John Denver.